So you guys might notice a change around my social media pages--all of my pictures have changed from the mysterious Defying Impossible banner to the total nerdiness face of me. Because, I plan to post my first Wordtube Video later this week, and I figured it was about time to stop hiding behind the pretty colors and the bird cage, right? My Youtube Channel is up and read to go, and if you feel called to go ahead and Subscribe (PLESS! ), you may do so HERE! 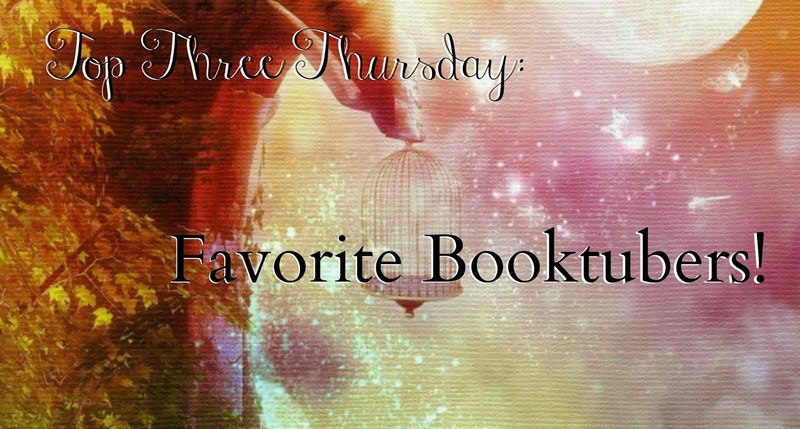 In reference to Tuesdays Announcement Day post, where I told the news of my future Wordtubing-ness, this Thursday I'm going to list off my Top Three favorite Booktubers! I honestly didn't know there was a community of book lovers on YOUTUBE, of all places, so, as you can well imagine, I was freakishly excited when I discovered my first Booktuber. Here's my absolutely favorites, and I hope you all go and check out their channels! This is one of the first channels I found, and I still love it just as much today. It's fun and informative and most certainly one of the best! Ugh, so much love for this channel and this girl! It's full of wonderful books and clever remarks and I adore it to death. Last but certainly not least! Whitney is lovely and absolutely hilarious and she shares my undying love for the Shatter Me series, by Tahereh Mafi! Below I shall list off some of the other fabulously awesome Booktube Channels for your viewing pleasure! So go! Click away! I highly recommend all of these peoples! What about you? Got any Booktuber Recommendations? I'd be happy to check them out!